Most Christians have our facts straight: Jesus was born of a virgin, lived a perfect life, died on a cross in our place, and was raised from the dead. All those who place their faith in him will be forgiven and have everlasting life. So the Gospel, for them, is not missing? Not so Fast? In the last section we talked how there was a difference between knowing that honey is sweet and having that sweetness burst alive in your mouth. Being able to articulate the Gospel with accuracy is one thing; having its truth captivate your soul is quite another. The gospel isn't just suppose to be a ticket that gets into heaven when we die, it is to be an entirely new basis for how we relate to God, ourselves, and others. It is the source from which all things flow in our lives. Just to lay all my cards on the table. I believe that what is needed in Christianity right now more than anything else. is a recovery of the Gospel. I don't think we have by corrupted the Gospel, we still have our facts right. However, the goal isn't a proper accounting of information that tells us Jesus is important. The goal of the Gospel is to produce a type of people who are consumed with passion for God and love for others. That is something we seem to be missing. Right? Christianity without a deepened passion for God is just simply a false Christianity no matter how much it advocates positive moralistic behavior and how zealously it seeks conversions. Being converted to Jesus is not about learning to obey some rules. Being converted to Jesus is learning to love and adore God so much that we would gladly denounce everything we have to follow him. I had a dog named Sparky I grew up with. Sparky was crippled in his two back legs. His life consisted of laying on the back porch watching all of us come in and out and staring at us as we walked by. I remember looking at him and thinking, "Based on how some see Christianity, Sparky would be a great Christian: he doesn't drink, he doesn't smoke, he doesn't cuss, he doesn't get angry; we also had him neutered so his thought life is under control." Jesus' disciples are not supposed to be merely compliant, neutered dogs. Jesus' followers are to be alive, full of life, with love and zest for God in their every step. When we love others and love God Jesus said the rest will fall in to place. But herein lies the dilemma. How can you be commanded to love others? I don't know about you but when I am forced to do something it is really wearisome to me. This holds true for me when I am taking out the garbage let alone when I am asked to love someone I don't even know or haven't ever met. True love grows as a response to loveliness. It is like the first time I saw my wife, I felt the beginnings of love for her. The more I got to know her over the years, and the more I have seen her beauty, the more I grown to love her. My love is a response. In the same way love for God is a command in scripture, but the command can only be fulfilled as our eyes are opened to see God's beauty revealed in the Gospel. The Spirit of God uses the beauty of the gospel to awaken in our hearts a desire for God. “We love Him,” the apostle John would say, “because He first loved us” (1 John 4: 19 NKJV). Love for God grows out of an experience of the love of God. When we focus primarily on behavior change, we are ignoring the real issue: a heart that doesn’t want to love God. Real spiritual growth comes from "abiding" in Jesus. If we want real and abundant fruit in our lives and ministry the secret to life is in abiding in Jesus. You will not get abundant fruit from reading books, intensifying self discipline, memorizing scripture, or having really good accountability groups. While these things have their place real fruit only comes from one place: Jesus. Now this might sound like a bunch of spiritual mumbo jumbo but consider what abiding means. The Greek word meno means literally “to make your home in.” When we “make our home in” His love— feeling it, saturating ourselves with it, reflecting on it, standing in awe of it— spiritual fruit begins to spring up naturally from us like roses on a rosebush. Spiritual “fruit,” you see, is produced in the same way physical “fruit” is. When a man and woman conceive physical “fruit” (i.e., a child), they are usually not thinking about the mechanics of making that child. Rather, they get caught up in a moment of loving intimacy with one another, and the fruit of that loving intimacy is a child. When we “make our home in” His love, spiritual fruit begins to spring up naturally from us. In the same way, spiritual fruit isn’t made by focusing on the commands of spiritual growth. You can’t just grit your teeth and say, “I will have more loving feelings toward God! I will be more patient! I will have self-control!” True spiritual fruit comes from getting swept up in intimate, loving encounters with Jesus Christ. His love is the soil in which all the fruits of the Spirit grow. When our roots abide there, then joy, peace, patience, kindness, gentleness, and self-control grow naturally in our hearts. So if you want to see spiritual fruit in your life, don’t focus primarily on the fruits. Focus on Jesus’ acceptance of you, given to you as a gift. Focusing on spiritual fruit will usually produce only frustration and despair, not fruitfulness. Have you ever looked at your life and thought, “Why am I still so impatient? How could I really be saved and still have such a problem with self-control?” I certainly have. If anything, the more I’ve walked with Jesus the more aware I’ve become of my sinfulness. Jesus, however, did not tell me to “abide” in my fruitfulness. He told me to abide in Him— in His acceptance of me, given to me freely as a gift. Let’s face it: Paul’s list here is impressive by anyone’s standard. “Speaking with the tongues of men and angels” has to put you in the top 1 percent of spiritually gifted people. “Understanding all mysteries and all knowledge” means that you’ve got even the finer points of Christian doctrine down pat. “Faith to remove mountains” means you can flat get stuff done in prayer. And “giving away even your body to be burned”? Wow. Obedience doesn’t get any more “radical” than that. When the offering plate goes by, you pull out a match and light yourself on fire for God. That’s Varsity. Yet, Paul says, spiritual giftedness, doctrinal mastery, audacious faith, and radical obedience do not equal the only thing that actually matters to God— love for Him. Without love even the most radical devotion to God is of no value to Him. Spiritual giftedness, doctrinal mastery, audacious faith, and radical obedience do not equal the only thing that actually matters to God— love for Him. Let me make sure that sinks in . . . You can gain all the spiritual gifts in the world. You can take the most radical steps of obedience. You can share every meal with the homeless in your city. You can memorize the book of Leviticus. You can pray each morning for four hours like Martin Luther. But if what you do does not flow out of a heart of love— a heart that does those things because it genuinely desires to do them— it is ultimately worthless. The point is that to produce real love in your heart for God takes something beyond spiritual gifts, greater doctrinal knowledge, audacious faith, and even radical obedience. Something entirely different. Radically different. That’s where the gospel comes in. The gospel, and the gospel alone, has the power to produce love for God in the heart. Paul calls the gospel “God’s power for salvation” (Rom. 1: 16). There are only two things that Paul ever refers to as “the power of God.” One is the gospel; the other is Christ Himself. As the story of the gospel is proclaimed, the Spirit Himself makes the heart come alive to see the glory and beauty of God revealed in it. Just as Jesus’ command to the lame man to “get up and walk” had in itself the power to obey the command, so the story of Jesus’ death and resurrection has in itself the power to make dead hearts new. As the gospel is believed, through the power of the spirit, our selfish, hardened hearts burst alive with righteous and godly passions. As we behold the glory of God in the face of Christ, Paul says, we are transformed into glory (2 Cor. 3: 18– 4: 14). 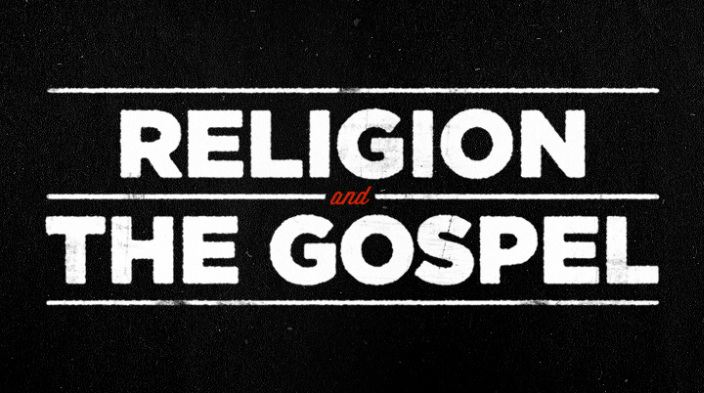 Religion, then, can tell you what to do— namely, to “love God with all your heart, soul and mind” and “to love your neighbor as yourself”; but the gospel alone gives you the power to do it. The gospel produces not just obedience, you see, but a new kind of obedience— an obedience that is powered by desire. An obedience that is both pleasing to God and delightful to you. Spiritual discipline have their place, but nothing takes the place of organic heart change. Only the gospel can do that.